Travelling in outback Australia is expensive, right? What with fuel, food, and accommodation, let alone paying for tourist experiences. Who can afford to take a month off to see the outback? 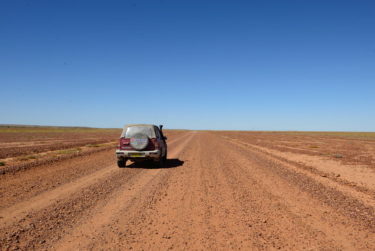 Fuel is your biggest cost if you’re driving around the outback. Distances are vast in Australia, so if you want to see a lot you have to drive a lot. Everywhere you go people talk about fuel costs and fuel consumption. It’s important! On my trip I drove from Wollongong (just south of Sydney on the east coast), through Cobar and Broken Hill to and through the Flinders Ranges in South Australia, down to Adelaide then back up along the west of the Flinders to Lake Eyre, up the Birdsville Track, then down to Innamincka and along the Strzelecki to Cameron Corner, and back home via Sturt National Park, Tibooburra and White Cliffs. Average fuel consumption: 9.9 litres/100km. I had car trouble a couple of times outback, which I think added to my fuel consumption so I think I can get it lower than this. But I have a Suzuki Vitara, so for most 4WD vehicles your consumption, and costs, will be higher. 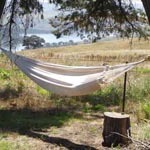 Mostly I camped, which reduces costs considerably. 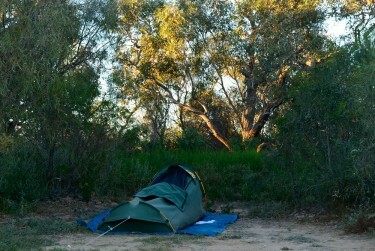 A few places were free camping – Yunta, Maree, Coopers Creek, and Birdsville. Some free camping spots have toilets, a few also have showers. 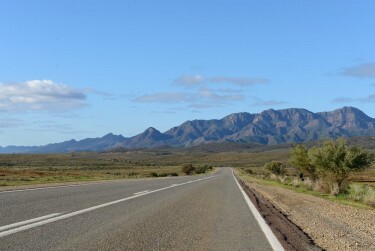 If there are no showers available, you can generally go to a caravan park and pay to use their showers, or places like Innamincka have showers available in the town. Or you can have a “camp shower”: with wet wipes. 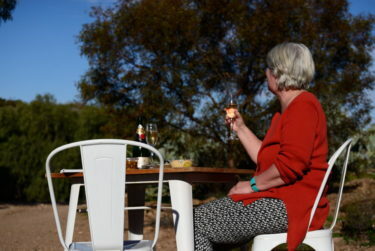 I did have two luxury experiences – 3 nights with my sister in a cottage in Blinman in the Flinders (total $525.00) and one night at the underground motel in Whitecliffs ($149.00). Whitecliffs is an opal mining town in outback NSW, so staying underground is part of the tourist experience there. The food I bought was generally fresh food – vegetables and salad – to replace what I’d eaten every few days. I only drank water (well, and wine), so there’s no cost of soft drink but I did buy around 20 litres of water and topped up bottles where I could. I wasn’t really doing an outback pub crawl, but in many places going to the local pub is part of the experience. 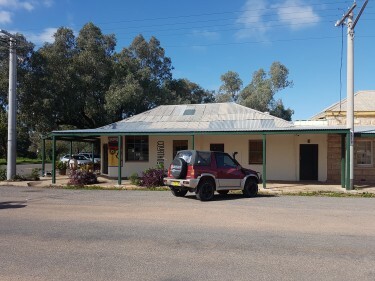 Who would go to Birdsville without going to the pub? And as I camped at the pub in Maree it would be impolite not to go in for a drink! Mostly I cook my own meals when I’m away because as a vegetarian it is extremely difficult to eat anywhere outback. I did have a great meal at the Parachilna Pub with my sister, the cost of which isn’t included here as she paid and I have no idea what it cost. Mostly I’d have morning tea at places. Coffee & scones – you have to have scones when you’re in the country! Despite the love and attention Doc lavished on my car before I went, I had some trouble with my engine missing so took it to a mechanic to get it checked out. The manifold hose had a hole in it, so they replaced it. I also bought a fan belt just in case, as my belt kept coming loose every day. This is where I really splashed out. I figured as I had come so far there were things I just didn’t want to miss out on (and how can I write about them if I don’t do them). Some of this was quite expensive, and you mightn’t want to do it all. So there it is, complete and accurate. I recorded all of this daily, so it’s an accurate reflection of what I spent while I was away. Not bad for 4 weeks away. Of course, without having the car in the first place none of this can happen. But that’s not as expensive as you probably think either.